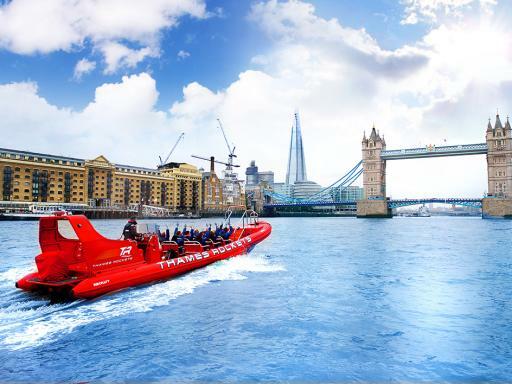 comment Rated London's Number 1 Attraction on TripAdvisor! Tour is suitable for all ages from 4 to 104! 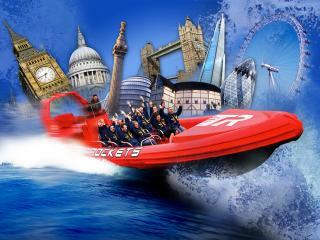 Zoom under the capital’s famous bridges and marvel at London’s incredible landmarks from your exclusive vantage point. 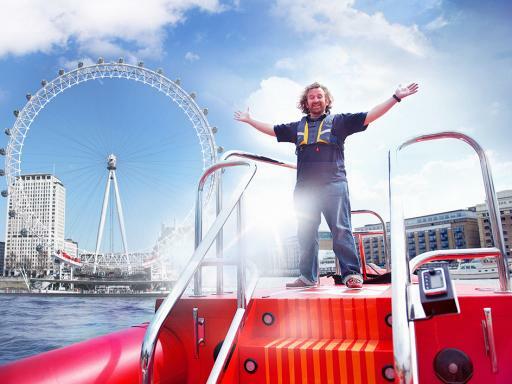 Music classics are piped through the onboard sound system as you power through the heart of the capital while award winning comedian guides and West End actors ensure sparkling high-brow banter. 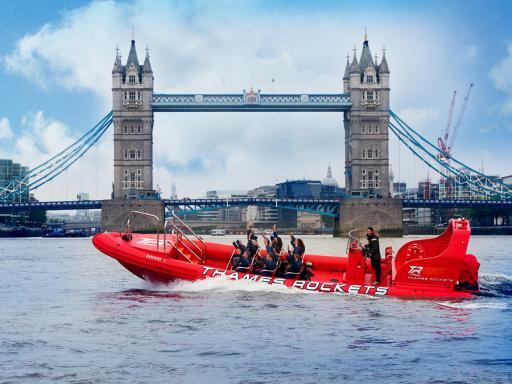 Hold on tight as you 'pull G' past MI5 before holding on tight for an exhilarating trip to the Docklands and Canary Wharf before heading back to the dock. 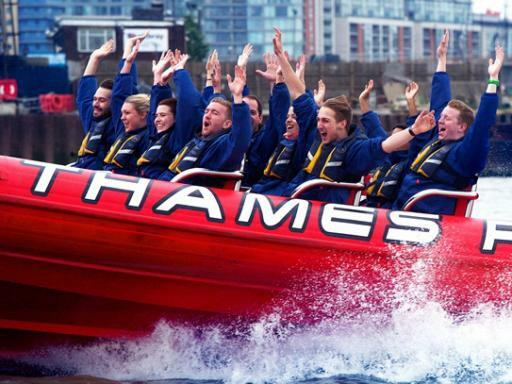 The 'Ultimate London Adventure' is a jam-packed, fun-filled adrenaline-fuelled 50 minutes that will leave you wanting to go again and again. 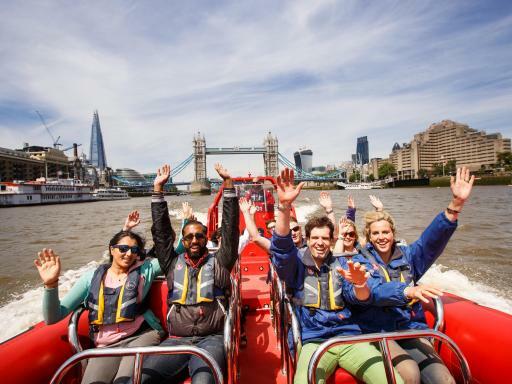 With only 12 passengers on board, you’ll experience a more personalised tour and have the opportunity to interact with your tour guide throughout. 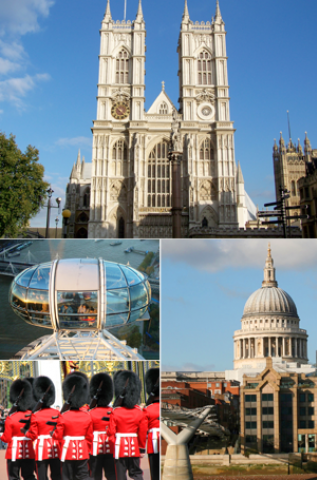 Highlights include the London Eye, Tower Bridge, St Paul’s Cathedral, the Tower of London and the Ministry of Defence. Your award winning comedian guide ensures sparkling highbrow banter as you pull past MI6 before holding on tight for an exhilarating trip to Canary Wharf and back - mission accomplished! Departure Location: Tours depart from Waterloo Millennium Pier underneath the London Eye. Departs: Daily March to October; Thursdays, Fridays, Saturdays and Sundays November to March. Start Times: Hourly from 10.00am to 5.00pm November to February and hourly from 10.00am to dusk March to October. This activitiy is not suitable for expectant mothers or anybody with a historical or current back condition. Customers must make their own way to the departure point. There are no refunds for late arrivals. There is a maximum of 12 persons on the boat. Please note that 100% cancellation fees apply for this excursion once confirmed. Advance reservations are required. If you are purchasing as a gift, you can opt to leave your voucher open-dated. You can then call to book your tour at a later date.